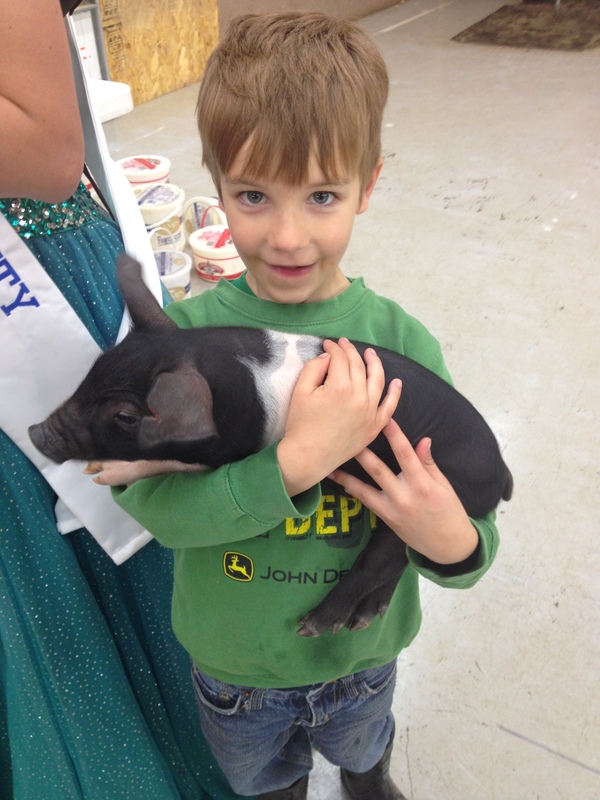 This spring we were invited by one of our local FFA Chapters to participate in their Petting Zoo that they were sponsoring for their school. Of course I said we have the perfect cow for that! 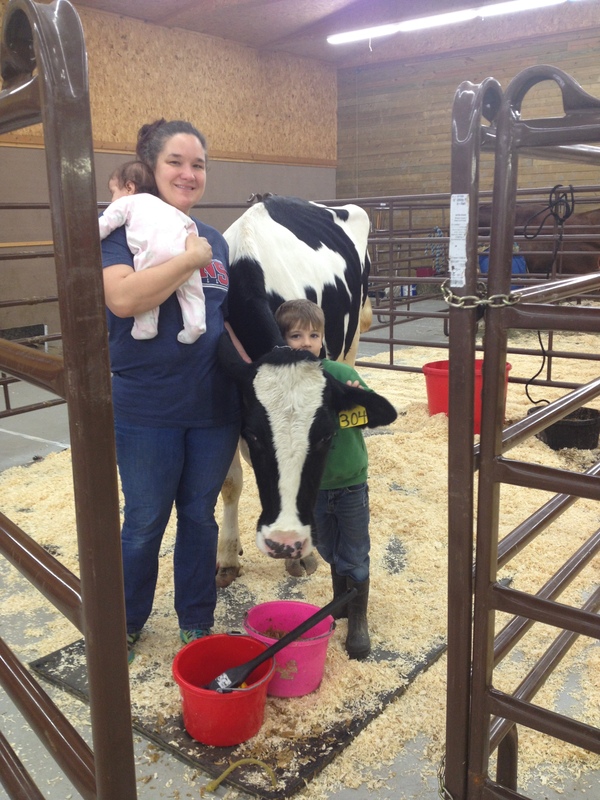 304 loves attention and she is great with kids and Everett loves to show her off. 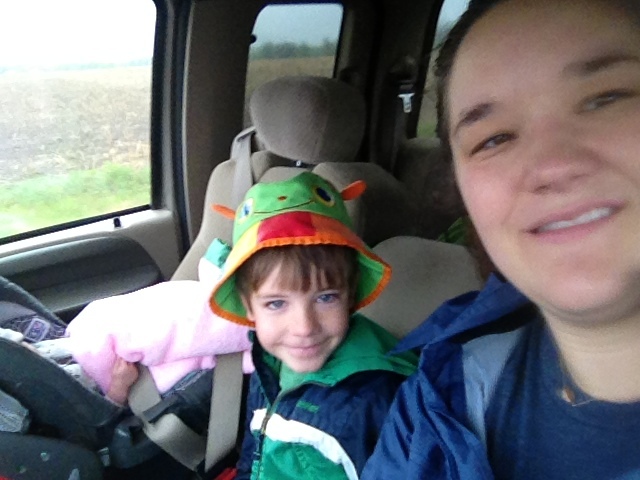 The morning of the petting zoo it was pouring rain outside. 304 still needed to get a bath because no one wants to pet a dirty cow. Nathan was in charge of giving 304 a bath and I loaded up the trailer and truck. When 304 was shiny and clean, she was loaded on the trailer. Everett, Vivian and I were off like a herd of turtles. When we got to the community center we had to get 304 all settled in. We had to make sure that 304 had plenty to eat and plenty of fresh water. Cows drink a lot of water so we had to haul pails and pails of water into her water tub to make sure she had enough for the day. 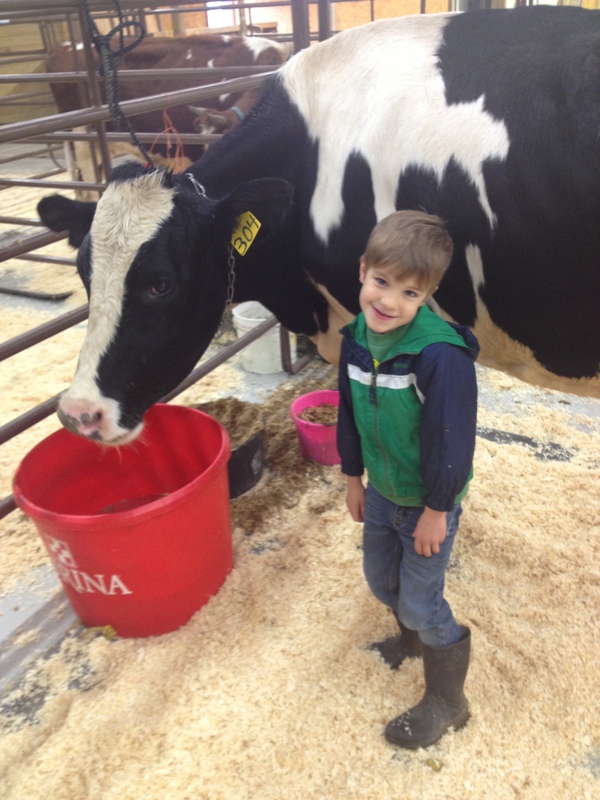 It was awesome to see Everett so excited to show off his cow. When there would be a little bit of a lull in between classes coming into the petting zoo 304 would get her drink of water eat some food and then she would stand by the gate and wait, waiting…… She would wait for another group of kids to come. Wait, she would stand by the gate and wait. When the kids would come around the pen 304 was ready to be loved up. Everett would hand out the brushes to the kids so they were able to give 304 a good brushing. 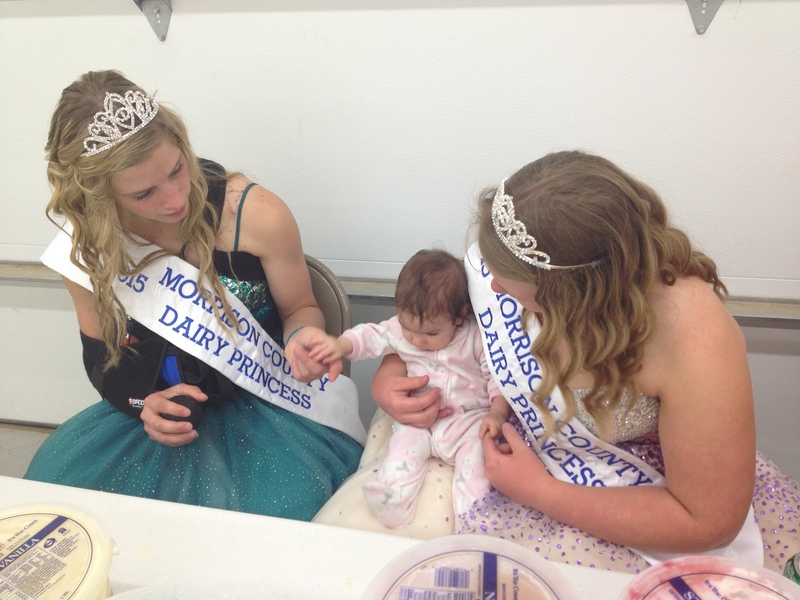 The second best thing about the day was of course the Morrison County Dairy Princesses handing out ice cream cones! 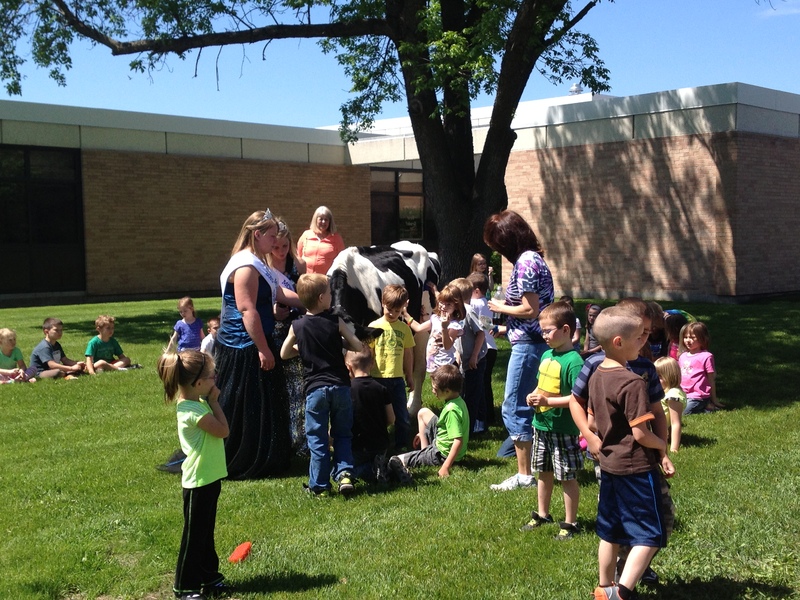 The last week of school is always an exciting time, but for Everett it was really exciting! 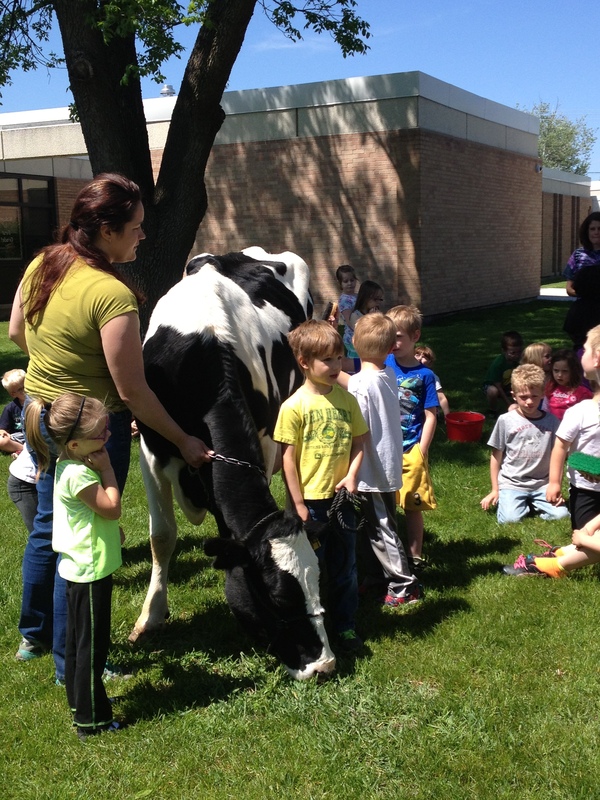 He was able to take his cow to school! How many kids get to do that? Everett was so proud to be able to lead her off the trailer and tell his classmates all about 304. 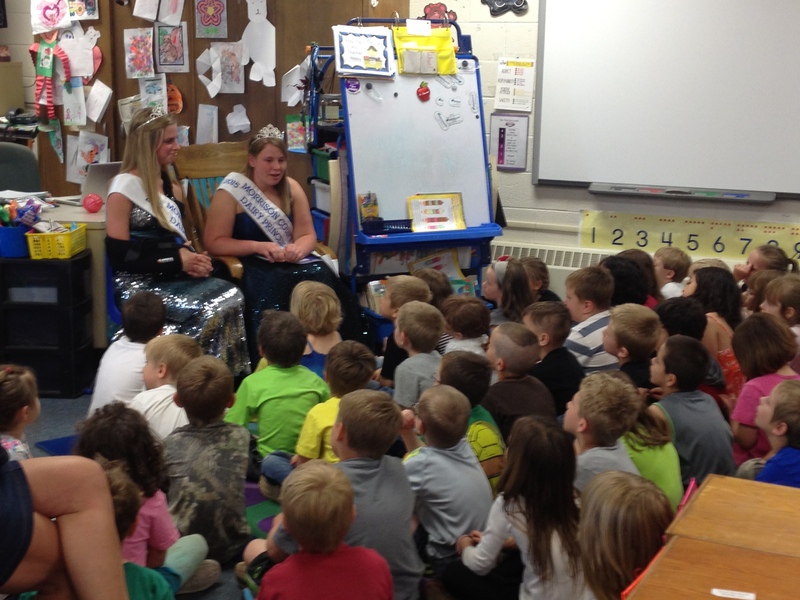 The Dairy Princesses even stopped by to read to the kids about a dairy farm. After all the kids were able to enjoy 304 they all got to have a cheese stick with the dairy princesses. I don’t think the reaction kids have seeing a cow that close up will ever get old, especially when it is a celebrity like 304.